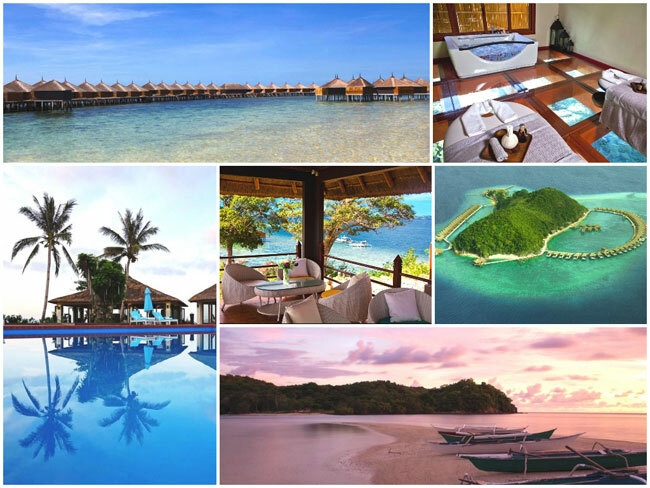 Huma Island Resort & Spa is nestled on a remote island in Busuanga, Palawan. This chic resort comes with breathtaking views and untouched marine life surrounded by a dozen sunken Japanese warships and planes which has been hailed as one of the top 10 diving sites in the world. 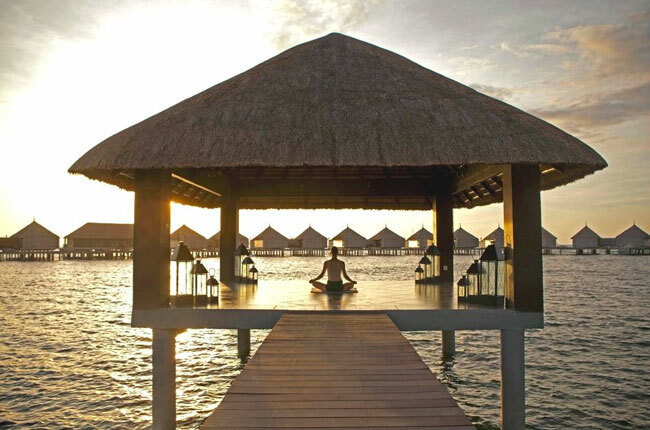 Compromising 81 villas, of which 64 are suspended over the water on stilts, each offer spectacular views of the beach of Dicilingan Island and the sea. All villas feature contemporary, elegant design, private Jacuzzis, bathtubs, as well as indoor and outdoor showers and more. The luxury island also boasts eight dining outlets, a fitness centre, library, kids room, the resort provides a 24 hour ‘villa hosts’ service. Huma Island Resort and Spa also offers exclusive privileges, such as private sea planes which can reach Manila Bay within 55 minutes. A stand out feature at the resort is its Ayurveda spa that comes with a glass floor (a first for the Philippines) – you can enjoy marine life simultaneously as you relax during a treatment.